Please join Fresh Start and the Allstate Foundation in a domestic violence public awareness and fundraising campaign during the month of October. Fresh Start is a proud partner with the Allstate Foundation in the Allstate Purple Purse Challenge, during the month of October, which is domestic violence awareness month. Proceeds raised will help sustain the domestic violence and finanl programs offer to women at Fresh Start Women's Resource Center. While most people think only of physical abuse when they consider domestic violence, financial abuse happens in 98% of all cases of domestic violence – it is an invisible weapon that keeps victims trapped. Funds raised will support life-changing financial services to help domestic violence survivors build safer lives for themselves and their families. To date, the Purple Purse Challenge has raised over $5.5 million, which is distributed to competing non-profit agencies, like Fresh Start, across the country. Over 5,000 women receive services from Fresh Start each year. Nearly 60% of these women report being victims of domestic violence, past or present. Moreover, our clients face financial challenges: 70% have an annual income less than $15,000. The funds raised during this challenge will help Fresh Start continue to provide financial education, resources, and support for women in need within our community. Together we can make a difference in the lives of those who need support in domestic violence situations. 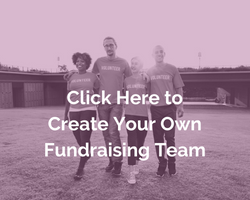 Please make a donation or create your own fundraising team today. Kick-Off the Purple Purse Challenge! Join us on October 2nd at 9AM to kick-off the Allstate Purple Purse Challenge with Fresh Start. We will be bringing together community partners, volunteers and media for a special morning event. We hope to see you there!